I changed my approach in my potential client meeting today. 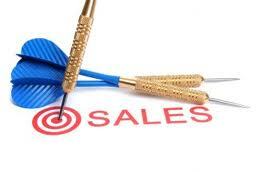 As I mentioned in THIS blog that I would treat the first meeting as a sales meeting. My changed approach was to answer questions that showed my practice in the best possible light. I did not lie. I answered some of the questions by not mentioning the negatives. I use words such we are here to help you. Any problems you have in connection with your accounts and tax all you need to do is call or email us. I also made sure my body language reflected what I said. I smiled more than usual. I asked the potential client if he had any concerns. He outlined a few points. These were addressed. He misunderstood the package I was offering. I cleared this misunderstanding. What surprised me when I asked my last question “how would like to take this forward?” His response was it was all okay and he would like to sign up. I am not sure whether this was down to luck or as a result of changing my approach. All that matters is he signed up! I have another potential client meeting on Wednesday. I will use the same approach and I will see how it goes. Previous Post My Sunday ramblings – Where do I start?